Brian Hadley, bassoon, has taught band and orchestra in the Minneapolis Public School District since 1997 and currently teaches elementary band and strings at Lyndale Elementary and band at Olson Middle School. Mr. Hadley has had several leadership roles in the Fine Arts Department of the MPS District including the Viva City, Mirrors and Windows, and FACETS programs. To further his musical training, he performs in various local community bands and orchestras, including the Minnesota Philharmonic Orchestra where he has been Principal bassoon since 2000 and served on the Board of Directors from 2003-2013. He also performs with the Kenwood Symphony Orchestra during the summer and for the annual performance of The Nutcracker. In addition, Mr. Hadley plays flute and saxophone with the Praise Team at All Gods’r; Children Metropolitan Church. Mr. Hadley has a Bachelor of Music degree in Music Education from the University of Minnesota where he studied bassoon with John Miller and Charles Ullery and Saxophone with Ruben Haugen. Besides performing as a musician, Mr. Hadley has also been performing, teaching, or judging Marching Band/Drum Corps/Color Guard activities for more than 30 years. He currently judges for the North Star Circuit on the equipment and movement captions, and served as Chief Judge for the NSC from 2005-2011 and on the Board of Directors from 2000-2011. 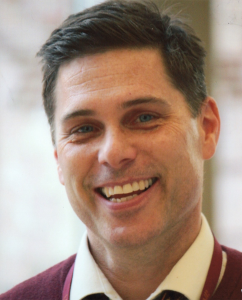 He has taught several Color Guard programs at the University of Minnesota, Sartell H.S., Anoka H.S., Eden Prairie H.S., and Minnesota Brass Drum and Bugle Corps. Mr. Hadley currently lives in South Minneapolis with his partner Matt and cats Roger and Stewie. Korean soprano Jiyeon Hwang is currently pursuing a Doctor of Musical Arts degree at the University of Minnesota under the tutelage of Jean Del Santo. 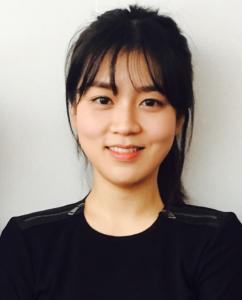 Ms. Hwang previously received her Master’r;s degree from Manhattan School of Music in 2015 where she studied with Catherine Malfitano, and a Bachelor’r;s degree in Voice from Chung-Ang University in South Korea in 2011, where she received a full scholarship for her undergraduate studies. In 2018, she earned second place at the National Association of Teachers of Singing Competition (NATS). She won Third Prize in the Seoul Vocal Arts Competition in 2011. Previous roles include Juliette in Capletti ed I Montecchi in 2016 in South Korea, Carollina in Il matromonio segreto, Miss Titmouse in Too many Sopranos, Susanna in Le nozze di Figaro, Donna Elvira in Don Giovanni, and Anna Gomez in The Consul with University of Minnesota. She also performed Lakmé in Lakmé at Oskara Nedbala Theatre Tábor in Czech Republic in 2018. Ms. Hwang has performed as Papagena in The Magic Flute in 2018 on the stage of the historic Estates Theatre, which saw the World Premiere of Mozart’r;s “Don Giovanni” in 1787. Seongkyeong Kim, piano, was born in South Korea and earned a Bachelor’r;s degree in Piano Performance from Chung-Aung University. She earned her Master’r;s degree in Piano Performance from the University of Minnesota, and is now in her second year of a Doctorate Program at the University of Minnesota where she studies with Paul Shaw. When she was young, Ms. Kim won the Incheon Young Artist Piano Competition, JEI Piano Competition, and National Music Association Piano Competition in Korea. While an undergraduate, she was the winner of a concerto competition and performed with Chung-Ang University Symphony Orchestra at Seoul Arts Center, Concert Hall. She also earned an Honorable Mention in the Thursday Musical Young Artist Competition and performed in the 2017 recital. Ms. Kim currently holds the Accompanying Teaching Assistantship and performs chamber and solo recitals in Lloyd Ultan Recital Hall, and performs as an accompanist for choir concerts in Ted Mann Concert Hall. Xin Lin started learning piano at the age of 5, and studied with famous music educators Dongbo Lin, Yifu Yang, and Hexin Fan. In 2008, he was admitted to the Fujian Normal University School of Music, where he studied with Professor Yizhe Hong. 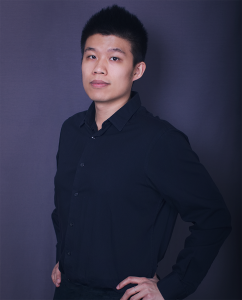 During his undergraduate studies, Mr. Lin won prizes in many national and international piano competitions, including the Silver Prize at the First Singaporean Chinese Art Festival Piano Competition, and First Prize at the 3rd National University Exhibition of the Yangtze Piano Cup in Xiamen. In 2013, Mr. Lin began studying at University of Hawaii at Manoa to pursue his Master’r;s degree under Professor Johnathan Korth. In the meantime, he won First Prize in the Concerto Competition at the University of Hawaii and Second Prize at the MTNA STATE piano competition. Mr. Lin is currently pursuing his Doctoral degree as a student of Professor Paul Shaw at the University of Minnesota School of Music. Kristin Morant, soprano, earned her Master of Vocal Performance degree from the University of Minnesota. Locally, she has performed with Chorus Polaris, Exultate (with whom she will appear in April 2019), and the Minnesota Opera, among others. Nationally, Ms. Morant has had the opportunity to appear with the Virginia Consort, and with the World Project’r;s international music festivals, with whom she appeared at Carnegie Hall, L.A.’r;s Disney Concert Hall and Chicago Symphony Hall. Ms. Morant is the founder and director of the Como Voice and Piano Studio. Ms. Morant takes great pride in her alter ego, Divina Miracula, soprano extraordinaire, a character she developed with the Center City Opera Company’r;s Opera on a Schtick. 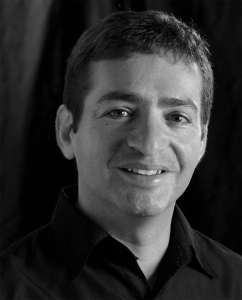 Salam Murtada, piano, is a native of Amman, Jordan. He was a semi-finalist in the Fourth Cliburn International Competition for Outstanding Amateurs in 2004, a semi-finalist in the Washington International Piano Artist Competition in 2006, and a prize winner in the Greensboro Music Academy National Piano Competition in 2000. He has been featured on the WDAV 89.9 FM (Charlotte, NC), several newspapers in North Carolina, the Dallas Morning News, Fort Worth Star-Tribune, the London Times, HDTV, and BBC Radio. Mr. Murtada has premiered his original compositions in the US, Australia, Ukraine, and Jordan. His instructors include John Ruggero in Raleigh NC, Christine Kefferstan of West Virginia University at Morgantown, Lita Guerra of University of Texas at Austin, and Samia Ghannoum in Amman, Jordan. He has also coached with Walter Hautzig and Vanessa Cornett-Murtada. Mr. Murtada is a civil and environmental professional engineer currently working for the Minnesota Department of Natural Resources. 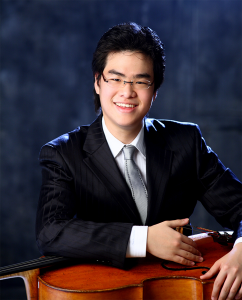 Cellist Hocheol Shin began his musical training at age four, and continued his studies at the prestigious Yewon Middle and Seoul Arts High Schools. He received his Bachelor of Music degree from Korea National University of Arts, and holds a Master of Music degree from the Manhattan School of Music as a full scholarship recipient. Mr. Shin was appointed Principal cello of the Manhattan Symphony, Manhattan Opera Orchestras, and the Manhattan Cello Ensemble. He has been awarded top prizes at the Joong Ang National, Busan Music Competition, Strad Competitions, and Busan’r;s Metropolitan Mayor award. He has performed as a concerto soloist with the KBS (Korea Broadcasting System) Symphony Orchestra, Busan Philharmonic Orchestra, Gangnam Symphony Orchestra, and Hyup String Chamber Orchestra. Mr. Shin has been featured in many summer music festivals, including Music Academy of the West, Great Mountain Music Festival & School, Ishikawa Music Academy, and the Kronberg Cello Academy. Mr. Shin has worked with renowned cellists Myungwha Chung, Hans Jørgen Jensen, Edward Aron, Aldo Parisot, Ole Akahosi, and Peter Bruns. He is currently pursuing a Doctor of Musical Arts degree at the University of Minnesota as a School of Music Graduate Fellowship recipient under the tutelage of Professor Tanya Remenikova. He is working as a Thursday Musical Artist and is scheduled to perform at the Thursday Musical Artist Series Concert on April 2019. Mr. Shin will feature on Classical Minnesota Public Radio on May 2019. 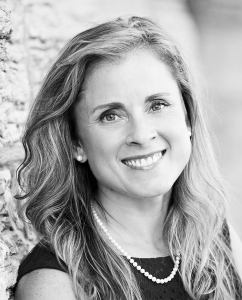 Amanda Verstegen, soprano, works as a Board-certified music therapist helping people connect to themselves and others through music in a variety of settings. 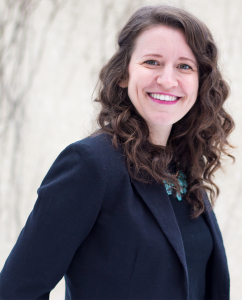 Her work connects her with people associated with Park Nicollet, Brighton Hospice, Project Power, and MacPhail Center for Music. Ms. Verstegen earned a Master’r;s in Music Therapy from the University of Minnesota, and previously earned a Bachelor of Music degree in Voice Performance from the University of Wisconsin – Eau Claire where she studied with Drs. Mitra Sadeghpour and Kathryn Proctor Duax. Ms. Verstegen currently studies with Manon Gimlett.